Thalasinos' friend, Kuuleme Stephens, told The Associated Press that she happened to call him while he was working with Farook and that he brought her into their debate, loudly declaring that Farook "doesn't agree that Islam is not a peaceful religion." She heard Farook counter that Americans don't understand Islam, and Thalasinos responded by saying, "I don't know how to talk with him," she said. Thalasinos wife, Jennifer, told the AP the two "probably did have debates" but "I never got the impression it was in a bad way." "They all got along really well. So it's shocking," she said. In a statement, her relatives said she was "loved by all who knew her." "We are devastated about what happened and are still processing this nightmare," the family said. "Please pray for our family and the other families who have lost a loved one as a result of this terrible tragedy," her relatives wrote. 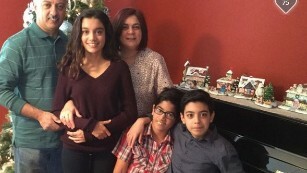 In the aftermath of the shooting, Velasco's relatives searched everywhere for her. Mindy Velasco, her aunt, called hospitals, police and evacuee centers in a harrowing search for information, the Los Angeles Times reported. "I'm fearing the worst," she told the paper. "She would definitely be in contact after something like this." The wife and mother of an infant son was killed in the attack, her aunt, Rebecca Godoy, said in Facebook post that linked to Godoy's own page. "Yesterday in the shootings in San Bernardino many families were affected. Ours was one of them," Rebecca Godoy wrote. "We will keep her flame alive so that her young son does not forget his special mother." Godoy's cousin, Nicole Rachelle Chelley, declined further comment when contacted by the AP through Facebook email. Her husband, Arlen Verdehyou, told The Daily Breeze that he and his wife exchanged texts at 8 a.m. Wednesday. He told her that he had withdrawn money from the bank and would do some Christmas shopping. Betbadal had recently decorated the family's Christmas tree. "It is the ultimate irony that her life would be stolen from her that day by what appears to be the same type of extremism that she fled so many years ago," the family said in the statement. "She always had something encouraging to say," Lee said. "She was one of the nicest health inspectors that we've ever had," he said. "She talked to us like normal people, not just doing her job." He said they discussed their holiday plans and she mentioned she was going to the department's Christmas party Wednesday. "She was stoked about the party," Peairs said. Word spread Wednesday among Clayborn's friends that she was missing. FBI agents later visited her family's house to tell them that she was killed in the attack. "It's definitely going to be different without her," Lee said. 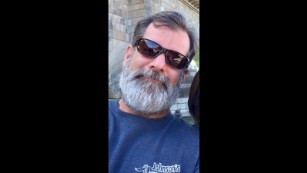 The Yucaipa resident was known as a loving father and husband who married his high school sweetheart, friends said. A fundraising page for his wife, Summer, and 20-month-old daughter, Savannah, had raised thousands of dollars in several hours Thursday. Megan Neforos, who set up the page, said she knew Adams' wife through a Facebook group for mothers of young children. "He was her high school sweetheart. This is tragic for her," she said. "He was an incredibly loving father and devoted husband." He ran an independently owned coffee shop inside the Inland Regional Center where the county health workers were using a hall for their holiday banquet. The shop's workers included people with developmental disabilities, which can include epilepsy, autism and intellectual disabilities. Eileen Richey, the executive director of the Association of Regional Center Agencies, said his death "fills us with sorrow, knowing so many families are in mourning." 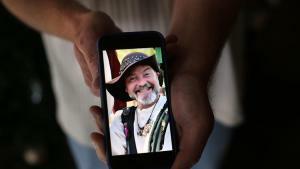 Kaufman, of Rialto, was an avid participant in the Original Renaissance Pleasure Faire in Southern California each spring, said friend Katherine Panowicz, who had known him for 15 years. She said he typically participated in parades, carrying either a pennant or a lance on a make-believe horse. The fair community is devastated to lose a friend with such a big smile, she said. "It would change the entire environment of a room just because he had a big brilliant smile," she said. Michael is pictured in the upper left-hand corner. 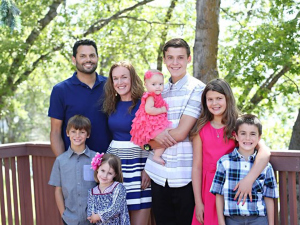 Friends and fellow church members appealed for help supporting his widow, Renee, a stay-at-home mom in Lake Arrowhead, California, and children. "Michael was the most amazing person," Renee Wetzel said in a statement, issued through her friend Celia Behar. The couple had five children from previous marriages and one child together. "He was my best friend and an incredible father who was loved by all. I have never known a better person," the statement said. "He loved his work and his family so very much. Without him, this family will never be the same. We appreciate all the love and support that everyone is showing." "My husband was in a meeting and a shooter came in. There are multiple people dead/shot. I can't get a hold of him," she wrote. After last month's deadly shootings in Paris, she posted a vacation photo on Facebook, overlain by the colors of the French flag. After her husband's death was confirmed, she posted a Bible passage: "When my heart is overwhelmed lead me to the rock that is higher than I." The Lil' Mamas blog set up an online fundraiser for the Wetzel family on Thursday and quickly raised tens of thousands of dollars. 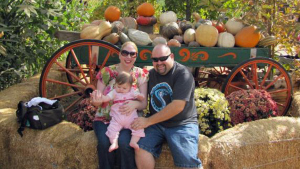 Church of the Woods also asked its members to pray for the extended family: "Please continue to pray for Renee, his children, and his former wife Amy as they process this terrible tragedy and loss of their husband and father," the church said in a statement. "Service to others, helping others. He very much took that to heart," Hackett said. Hackett called his friend "a good, good guy." "Funny and smart and tall. A real quick smile, very friendly and outgoing," he said. "It's a real hard hit for all of us who knew him." Meins married his high school sweetheart, now a Catholic school principal, and they raised two daughters, one a teacher. Meins was fondly remembered as the guy who dressed up as Santa for school pictures, according to a parent's social media posting Thursday. Meins' Facebook page, where he can be seen smiling with his family in front of the Golden Gate Bridge in San Francisco, says he studied business administration at the University of Redlands starting in 1991. In 1979, he graduated from UC Riverside. He was also retired from the Riverside County after working there for 28 years. Meins received a community award for his work in Riverside, which was based on "compassion, courage, forgiveness, generosity, humility, inclusiveness, integrity, kindness, respect and service." 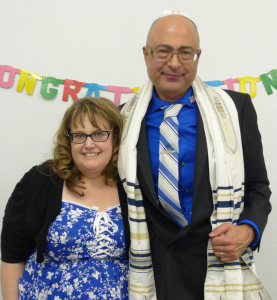 He rose before dawn every morning to get to his job from his home in Koreatown, which he shared with his girlfriend, Mandy Pfifer, who was a longtime member of LA Mayor Eric Garcetti's Crisis Reponse Team. The mayor's office said in a statement Thursday night that "we have learned that one of our own ... is among those who lost their lives." She was supposed to get married in 2017, her family told media outlets. Born in Vietnam, Nguyen was a food inspector with the county health department. She lived in Santa Ana. 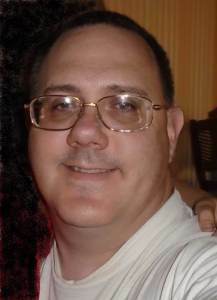 He was a supervising environmental health specialist. JUAN ESPINOZA, 50, of Highland. Associated Press writers Gillian Flaccus in Anaheim, California, and Jonathan Drew in Raleigh, N.C, contributed to this story. Kunzelman reported from Baton Rouge, Louisiana, and Lush from St. Petersburg, Florida.